Chuck Prophet featured as the Song of the Day at NPR.com. Click HERE to listen to “The Left Hand and the Right Hand” now at NPR.com. San Francisco has long been a refuge for people on society’s fringes, from sailors and hookers to beatniks, hippies and non-conformists of every stripe. Chuck Prophet revels in their oddness as much as he revels in the retro coolness of shoo-be-doo-wop pop and the chime of a pedal-pushed guitar chord. On his latest album, Temple Beautiful, he injects healthy doses of both into sonic portraits of his city’s most outrageous inhabitants. And no one can turn tales from the outer limits into catchy songs quite like Prophet does. He’s as original as the characters he brings to life, in all their tawdry, tattered glory. Temple Beautiful is available on CD, 180g LP and digital at the Yep Roc Store. You can hear an special hour in the company of Chuck Prophet on Another Country with Ricky Ross on BBC Radio Scotland tonight from 8pm BST. The whole of the second hour is dedicated to Chuck and is available worldwide through the BBC iplayer for 9 days after original broadcast (until next Sunday 2nd June). There’s also a video of the session online for UK users. Click HERE for details. Watch Chuck Prophet perform live on KEXP Seattle. 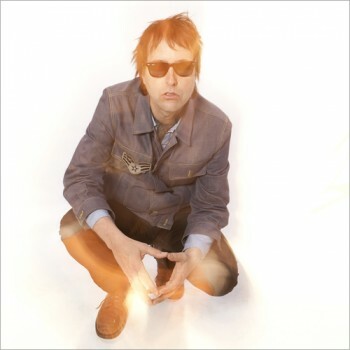 Chuck Prophet’s TEMPLE BEAUTIFUL $5 on Amazon 100.